Bockstoce, John R. Furs and Frontiers in the Far North. New Haven, CT: Yale University Press, 2009. *Akasofu, Syun. Northern Lights: Secrets of the Aurora Borealis. Anchorage: Alaska Northwest Books, 2009. Daly, Regina W. The Shackelton Letters: Behind the Scenes of the Nimrod Expedition. Norwich, UK: The Erskine Press, 2009. Francis, Gavin. True North: Travels in Arctic Europe. Edinburgh: Polygon press, 2009. Freeman, Milton M. R. and Lee Foote, eds. 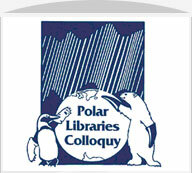 Inuit, Polar Bears, and Sustainable Use: Local, National, and International Perspectives. Edmonton, AB: Canadian Circumpolar Institute, 2009. Hauser, Michael. Traditional Inuit Songs from the Thule Area. Copenhagen: Museum Tusculanum Press, 2010. Kanter, Seth. Shopping for Porcupine: A Life in Arctic Alaska. Minneapolis: Milkweed Editions, 2008. Kerry, Knowles, R. And Martin J. Riddle, eds. Health of Antarctic Wildlife: A Challenge for Science and Policy. New York: Springer, 2009. *Pollack, Henry. A World Without Ice. New York: Avery, 2009. *Streever, Bill. Cold: Adventures in the World’s Frozen Places. New York: Little Brown and Co., 2009. *Vermeer, Jan and Van Essen, Frieda. Arctic. Deventer, Netherlands: Thiene Art, 2009. *Wamsely, Douglas. Polar Hayes: A Biography of Isaac Israel Hayes. Philadelphia, PA: American Philosophical Society, 2009.